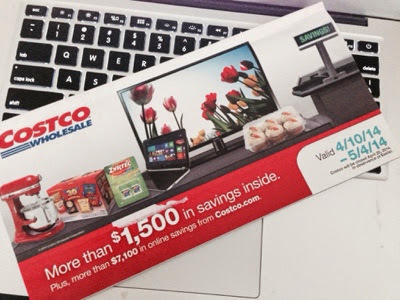 The new Costco coupons (4/10-5/4/2014) are available on the Costco website. I'm sure many of these products are ones that people like, but I didn't find anything that was exciting to me except $5.00 off a the photo books. (Limit 2). My friend Linda, who takes lots of exciting trips, does a photo book at the end of each trip. Her book makes a great souvenir, fun to use to reminisce and fun to share with friends. 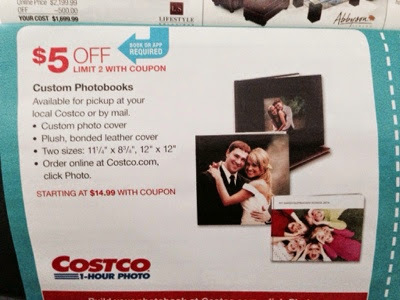 I'm not sure I'm organized enough to make a photo book, but I think I'll try because of this coupon. For some of the products, like the photo books, you need to have the physical coupons or the coupons on a smart phone. Extra coupons are not available at the Service Desk.